The savage antics of the left were on full display over the past two weeks. Screaming at the sky. Banging on the front doors of the Supreme Court building. Being arrested for anti-social behavior in the U.S. Capitol. Even sending a beheading video to the wife of Senator Cory Gardner. What’s even stranger than this behavior is the fact that it has essentially been mainstreamed by the Democrat establishment. We did not hear a peep of condemnation from any Democrat leader as headlines were dominated for days of vicious, angry Democrats howling at the moon. Jason Crow is not to be excluded from this group. He fanned the flames by announcing to his base that he believed the unsubstantiated claims against Justice Kavanaugh, in spite of not a single ounce of corroboration, a single person stepping forward to confirm the accounts of Kavanaugh’s accusers, or a clean follow on FBI investigation (after the six clean FBI background checks that Kavanaugh had throughout his career). This weekend, one of the people raging at the Supreme Court was photographed climbing atop the lady liberty statue wearing a Jason Crow for Congress button that was clearly visible. Is Crow on board with Democrat fever dreams about impeaching Kavanaugh if they regain control of the House in November? 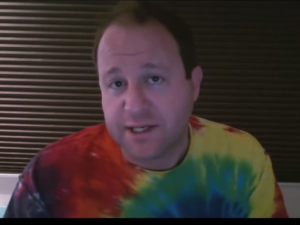 Additionally, Democrat candidate for governor Jared Polis is a member of the Democrat Progressive Congressional Caucus, which sent a letter to President Trump promising to investigate Kavanaugh if the Democrats take the House in November. Where does Polis stand on additional investigations of Justice Kavanaugh? What once was the stuff of fringe lunacy is now accepted and embraced by mainstream Democrat politicians. Is this the Colorado that you want for the future?